Hit the trails of one of Virginia’s natural j ewels, Pocahontas State Park, as a Kids Run RVA hero at the 2019 Ragnar Trail Richmond and experience VIP treatment! With every mile you run, you are helping push forward the programming of Kids Run RVA throughout the greater Richmond region. Want to help a local child train for and run their very first road race? Want to support us by helping provide proper footwear for those young runners who need them? Want to support the growth of a run club at a local school? We are looking for YOU!!! 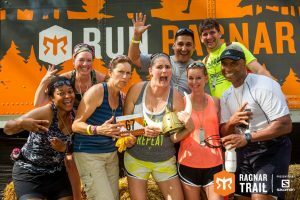 By participating in RTR as a Kids Run RVA fundraising team, you are helping us do all of those things and more! 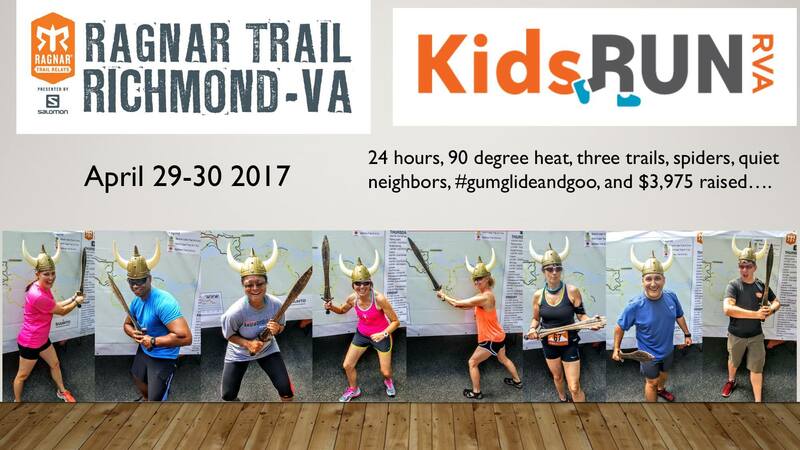 What does $2600 amount to for Kids Run RVA? Through this support, Kids Run RVA is making a lasting impact on the overall well-being of kids across RVA! 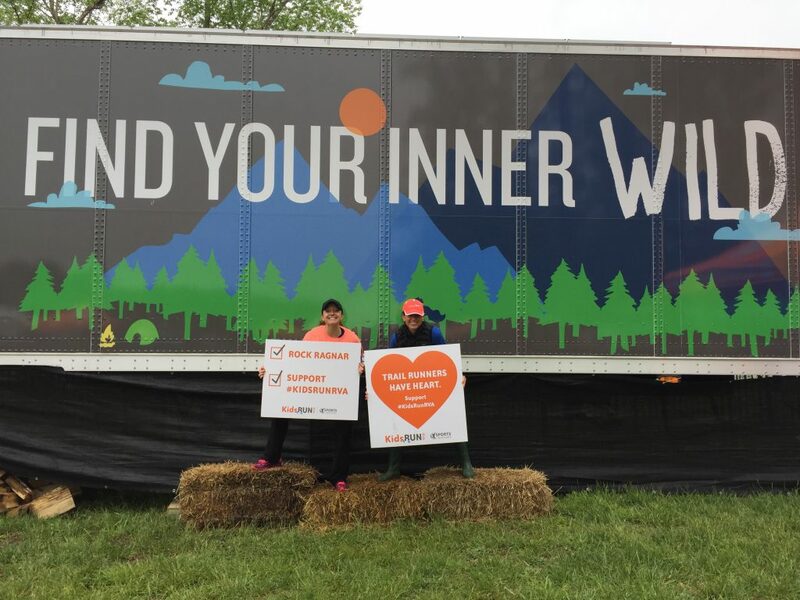 Participate in Ragnar Trail Richmond on April 26-27, 2019 and help us achieve our goal of providing these opportunities to RVA’s youngest runners! Still reading? 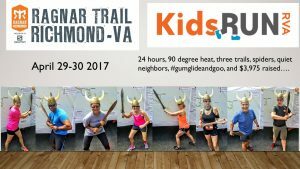 Still interested in being a Kids Run RVA hero? Check out this video to see Kids Run RVA in action, and then click the button below to email Jacki Quinlan or Faith Hecht , our Kids Run RVA duo, and we will get your team all set and ready to roll!